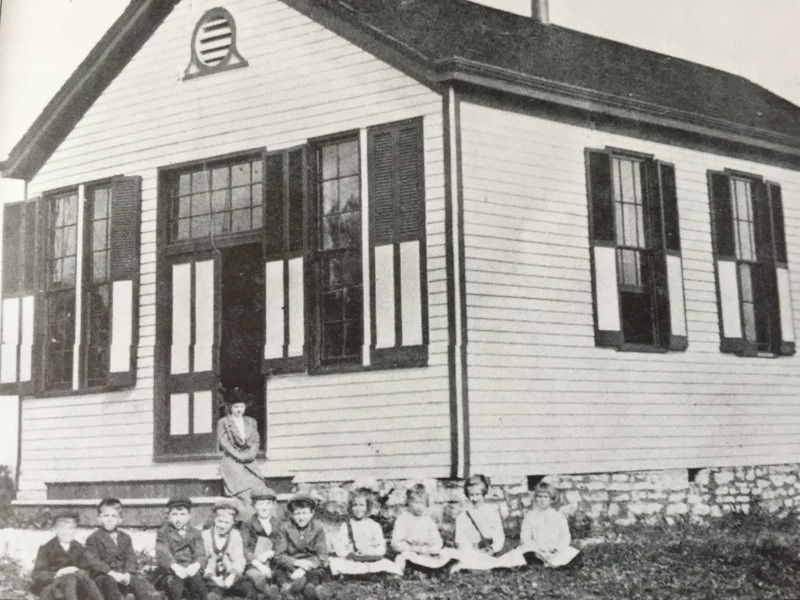 Inverness School was built in 1894 at the corner of Rosemont Ave and Mt. Pleasant Ave (changed to N. Fort Thomas Ave. in 1917). The one-room frame building included a coal stove for heat, a cistern, a coal shed and two outhouses. 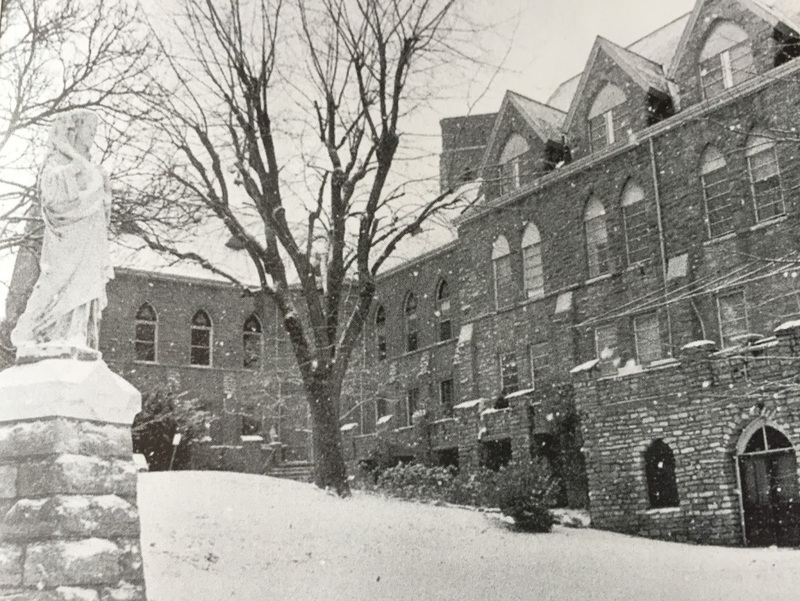 There were eight students when the doors opened in 1894. Inverness School was closed in 1916. 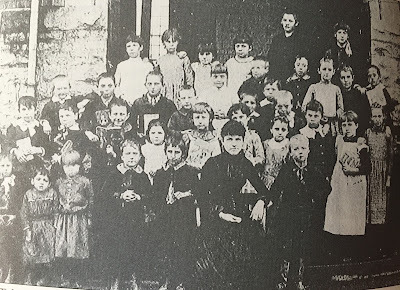 From 1916 until 1923, children in the north end of Fort Thomas attended Central School in the City Building. 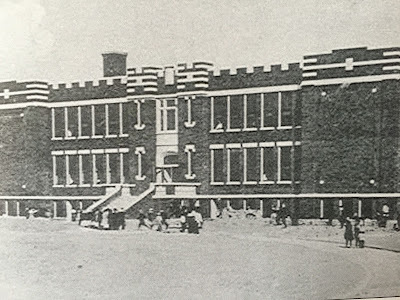 Robert D. Johnson School opened in 1923. Witnessing the freshman orientation today at Highlands High School was inspiring. 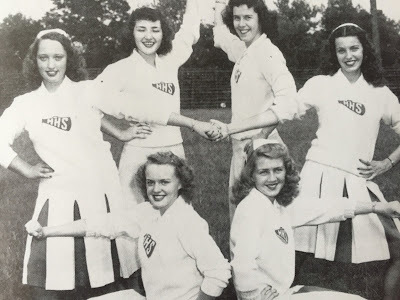 We will tell you why tomorrow on FortThomasMatters.com, but as I was listening to Superintendent Gene Kirchner and Principal Brian Robinson welcome the kids, I thought back to some of these pictures from one of my mentors, Bill Thomas' book. 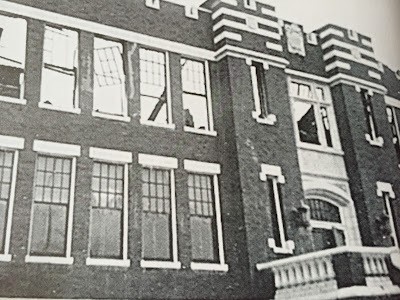 Many of these pictures depict early scenes of Fort Thomas schools. 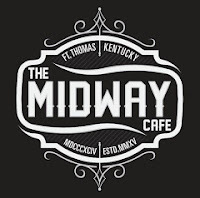 How far we've come in Fort Thomas. I can't wait to see what's in store. I hope you'll join us tomorrow on FortThomasMatters.com as we tell you why today was such a big deal. 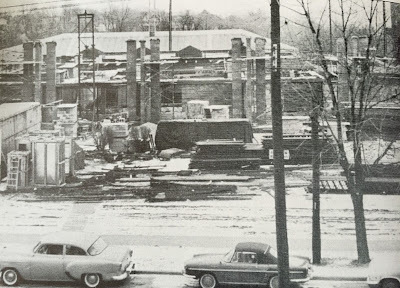 The middle building at Highlands was rebuilt in 1962 after fire destroyed the original building. 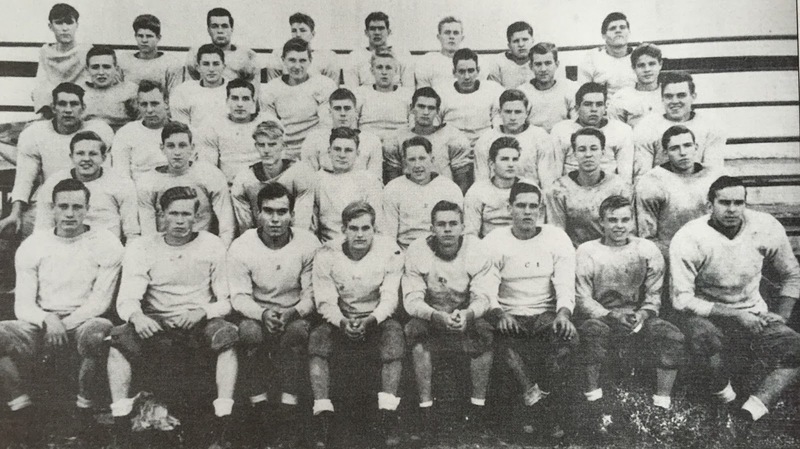 The 1942 football team at Highlands started the season with the six consecutive shutout victories and won the NKY Athletic Conference Championship. 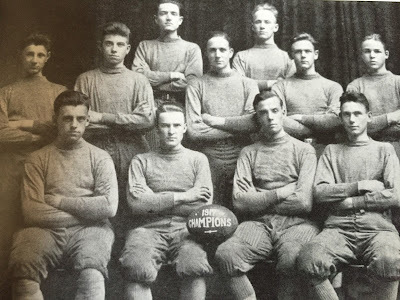 Team captains were Les Kyle and Jack Pogue. Senior class officers at Highlands in 1918. 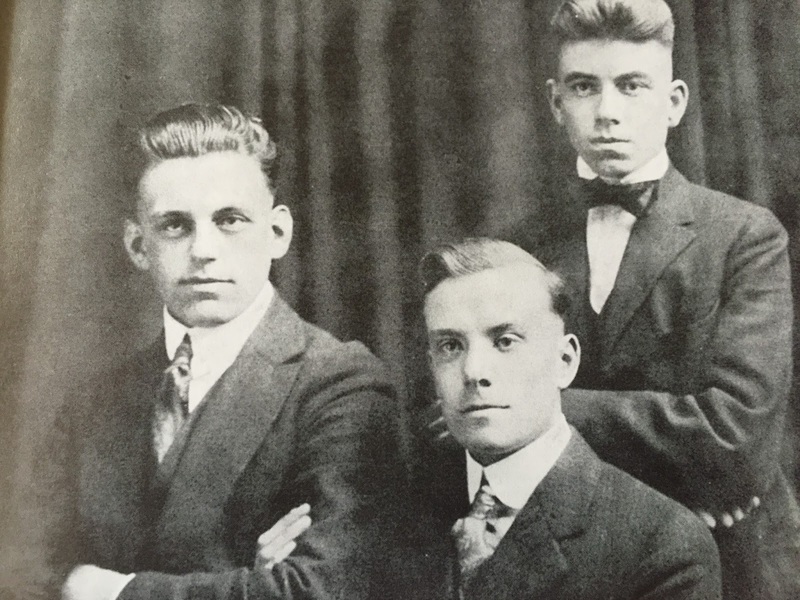 (L to R): Randall Stegeman, Earl Barr and William Cargill. 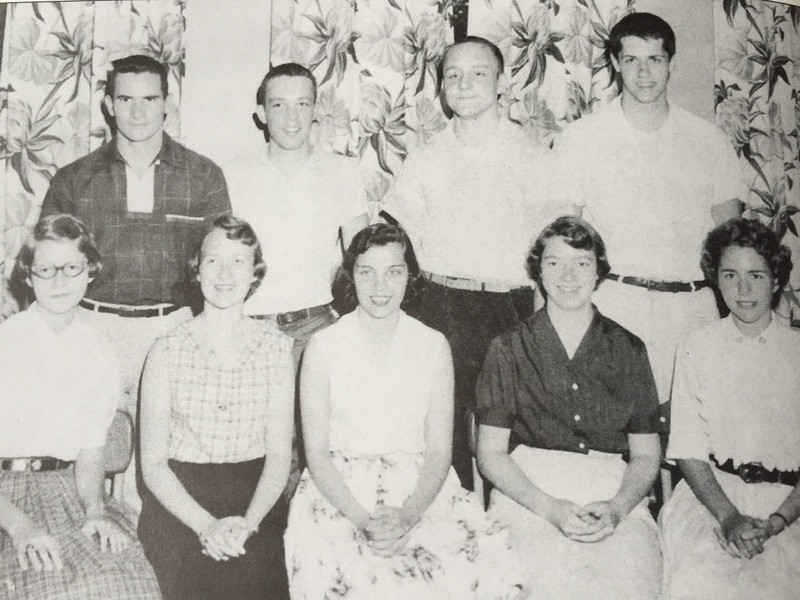 College scholarship winners from the 1958 senior class at Highlands. 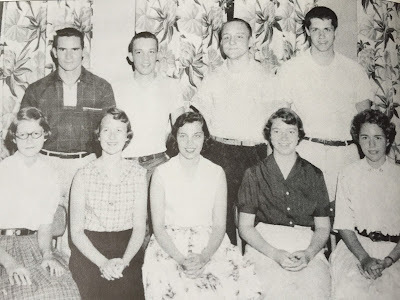 (L to R), seated: Karen Sturdy, Judy Gaines, Majorie Hamilton, Ann Kushner, and Linda Challis; standing: Doug Martin, Alan Anderson, Elwyn Berblekamp and William Waddell. 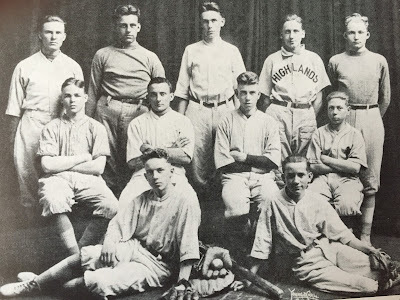 There were not many players on the baseball team at Highlands in 1918. I wonder how these guys would feel about the news we broke earlier today on the new baseball field coming. Link below. Teacher E. Taliaferro poses with her students at Highlands Central School in 1886. 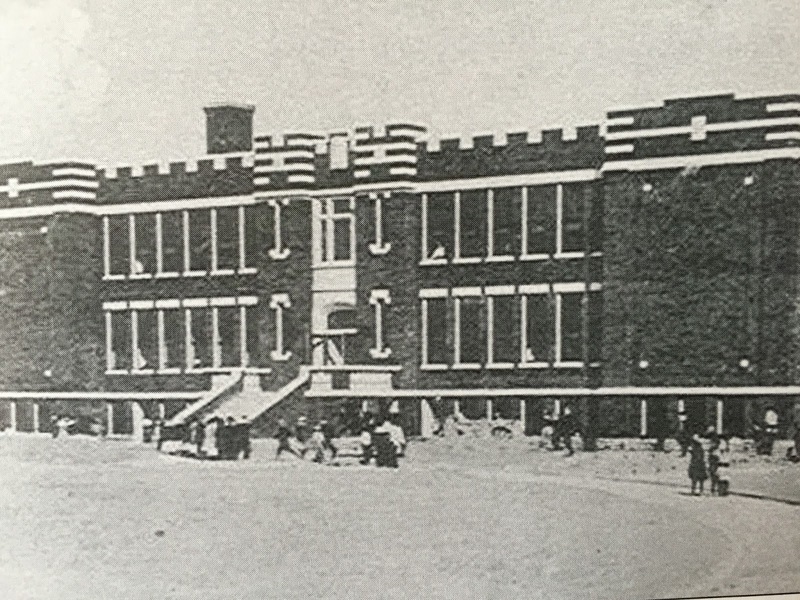 Highlands Central School opened in 1885 and classes were held in the City Building. Highlands took the place of Highlands Central School in 1888. Four students gradated from Highlands High School in the first graduating class in 1891. 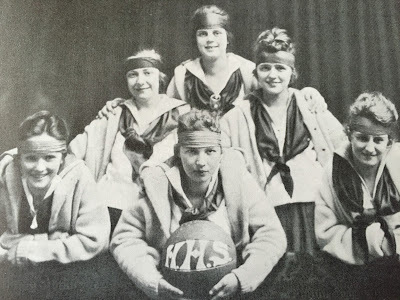 The 1917-1918 girls' basketball team at Highlands had a tough season that included at 28-2 loss by Norwood. 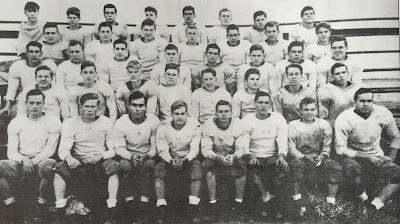 The Highlands football team finished the 1947 season with a 10-1 record. 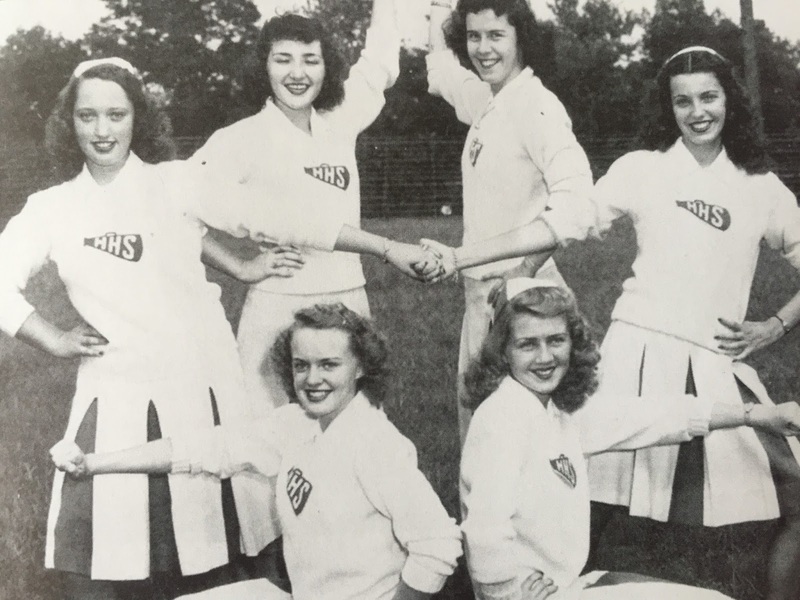 Leading the cheers, (L to R) were (kneeling) Ann Stolle and Janet Biltz; (standing) Marcia Keslar, Phyl Snyder, Joyce Huddleston and Paulette Hasselbrink. The 1917 football team at Highlands began the football tradition of excellence at Highlands. This team finished the season with a 6-3 record and crowed champions of NKY. The team's nickname was the Blue Devils, until the late 1920s, when all teams at Highlands took the name Bluebirds. This is a view of Our Lady of Highlands on Highland Ave. The magnificent stone structure was used as an orphanage and school for Catholic girls for over a century. The interior of Highlands was completely destroyed by a fire on a cold, snowy night in 1962. 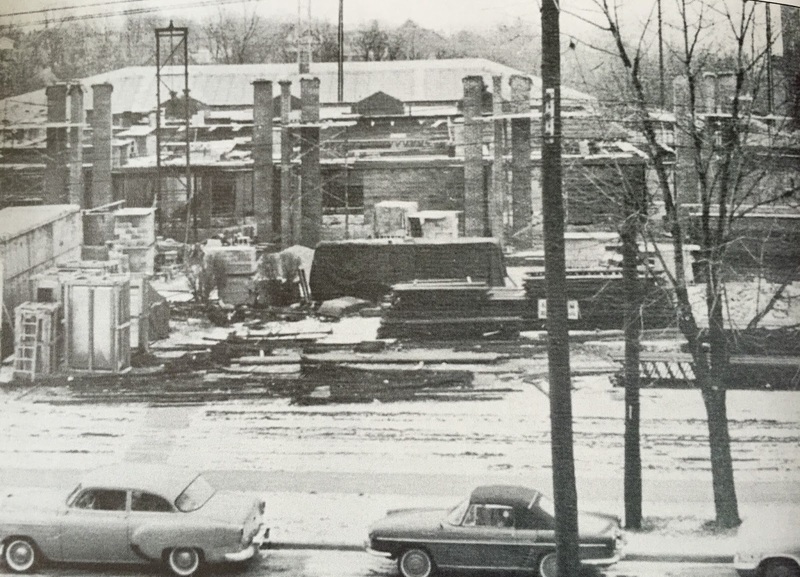 No one was injured and a new junior-high school building was constructed in its place and opened in September 1963. Known as Mt. Vernon School, this small frame building across from Newman Ave on Highland Ave served as the only school in central Fort Thomas until the late 19th century. 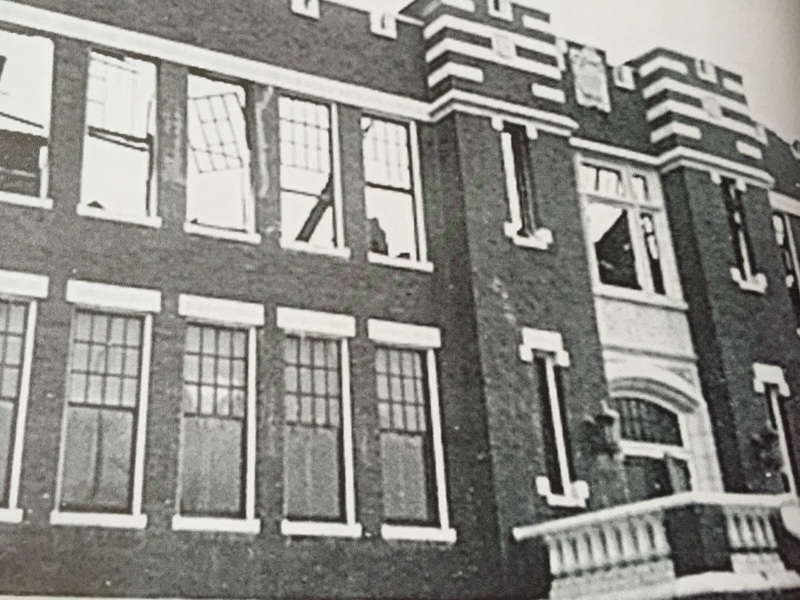 The school was built thanks to a donation by Captain Blackford of Carter's Lane. Mt. Vernon had been the original name of the Highland Turnpike. Very cool!! Keep them coming FTM! !